We deliver in all areas of Los Angeles & Ventura counties in California USA. 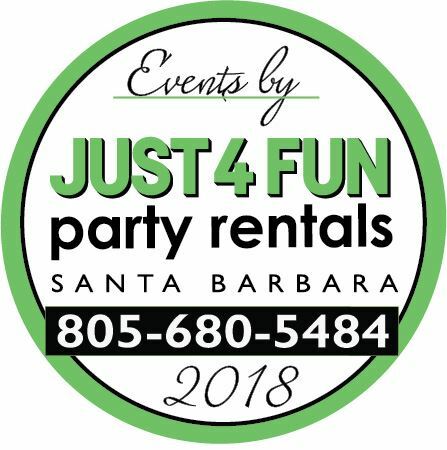 We are a professional Party rental company serving small, medium and large house Party Occasions, Weddings, Special Events, Expos, Fairs & Festivals. Special Events Rental can provide you with party equipment rental services such as: Tents & Canopies, Tent Sidewalls, Tents Decorative Lighting, Tent Linen Decoration, Tables, Chairs, Linen Tablecloths, Overlays, Chair covers, Buffet tables, Meeting tables, Heaters, Bars, Helium Tanks, Umbrellas, Pipe & Drape/Partition/Room Dividers, Children Fun Food Concession Machines, Stanchions & Ropes, Food Service Party Equipment, Miscellaneous Items, Dance Floors, Event Carpet, Party Lighting, DJ Lights, Stage Lighting, Sound, Stages & Truss, Runways, Flooring, Video Equipment, Generators, Electrical Power Distribution, Sanitation/Portable Restrooms, Crowd Control, Traffic Control.